Babblings of a Mommy: Here Are 3 Things I'm Obsessed W/ This Week. Here Are 3 Things I'm Obsessed W/ This Week. I feel very Andy Cohen right now--like I should be drinking Disaronno and cranberry or something. LOL. Any Watch What Happens fans out there? The rest of you probably have no clue what I'm talking about, right?...It's ok, I'm use to it. Here are 3 things I've been completely hooked on this week. 2. Hershey's Bliss White Chocolate. Holy chocolate heaven!! I'm. in. love. I've never tried these evil little delights until this week and I might have to start crazy gluing the candy jar to stop popping these in my mouth! Be warn--they're addicting!! 3. 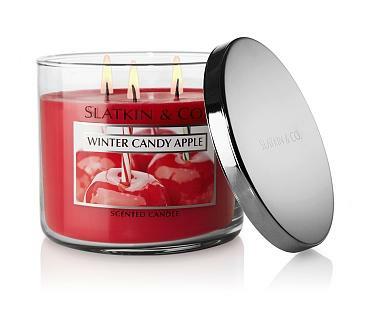 Bath and Body Works Winter Candy Apple. I love candles, but holiday candles--even more. And this is my absolute favorite. I love the combination of apple and cinnamon. Mmmm..It reminds me so much of the holidays! I've already started lighting them all around the house to just to get in the holiday spirit. What have you been obsessing over this week? Share with me! I am completely obsessed with Zara kids collections! The boys' clothes are also to die for! I know!! I think they're children's clothing are even better than the adults, right? !